Almost a salad, but not quite—nourish bowls are nutrient rich, flavour-packed and super easy to put together. There’s a bowl for almost every occasion, whether it’s summer or winter, you’re craving something hearty or light, or if you’ve got a bunch of veggies in your crisper about to go past their used by date and you’re living the waste-free life. Whether you call them Buddha bowls, nourish bowls, abundance bowls or, simply, a bowl of food leftover in your fringe—here’s how to make the tastiest bowl without a recipe. When it comes to nourish bowls you’ve got to start with a solid base. 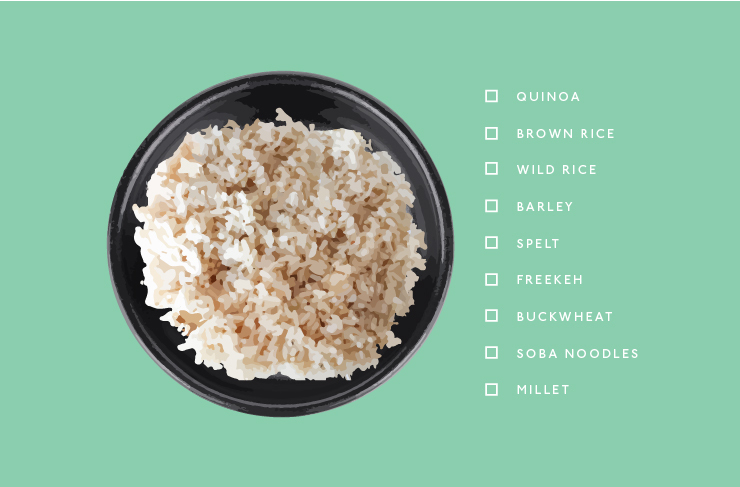 Whether you go for quinoa or brown rice, buckwheat or millet, it’s time to get freekeh and pick a complex carbohydrate which will help you go the distance. If you want to get really fancy, cook whichever one you choose in chicken or vegetable stock for extra flavour. 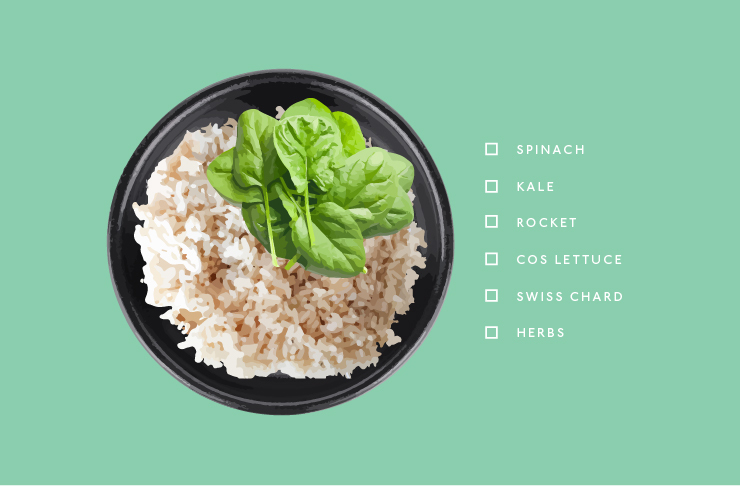 While nourish bowls aren’t technically salads, you can’t pass on the leafy greens because they’re just so darn good for you. Don’t forget to add some herbs for extra flavour. We like mint, basil, coriander and chives! Roast up some of your favourite veggies in a little olive or coconut oil, and maybe a sprinkling of spices like cumin and paprika for good measure. Don’t skimp out on the oven time, you want these babies to be caramelised and delicious—unless you’re roasting broccoli or brussel sprouts of course. 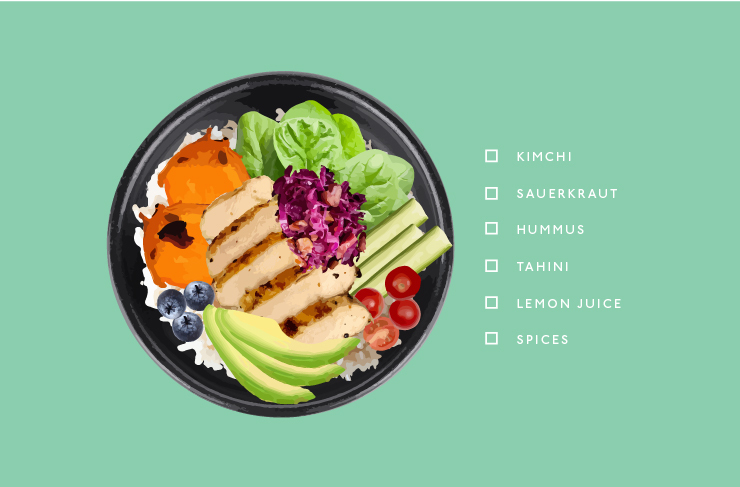 Nourish bowls are all about balancing textures and flavours, so you can’t forget the crunch. 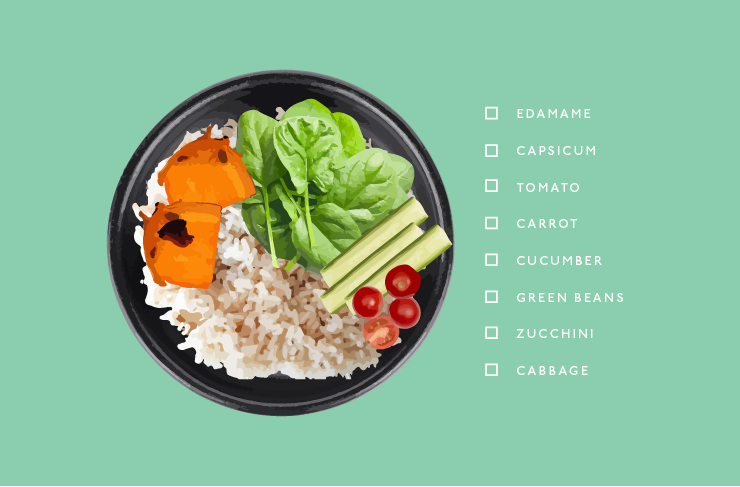 We love edamame, carrot and cabbage, but feel free to go crazy—pretty much any veggie goes! 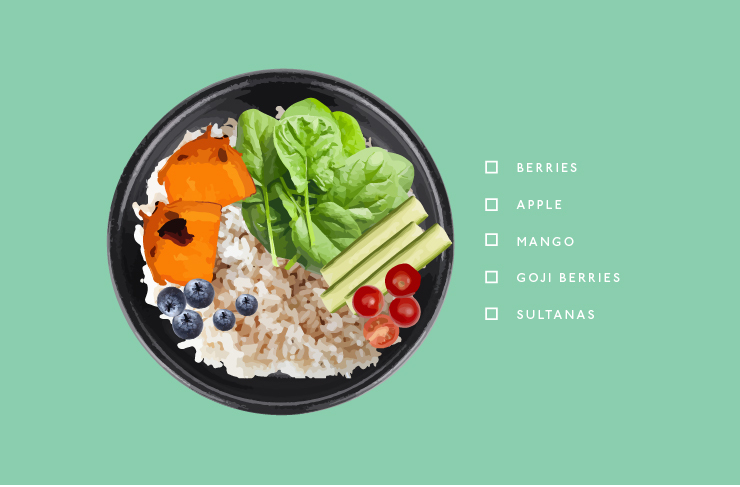 If you need to up your fruit intake, here’s where nourish bowls are your shining star. Berries, apple and mangoes are all packed with flavour, plus, they have the added benefit of being good for you. Winner winner, healthy dinner! For a filling nourish bowl protein is your best friend. 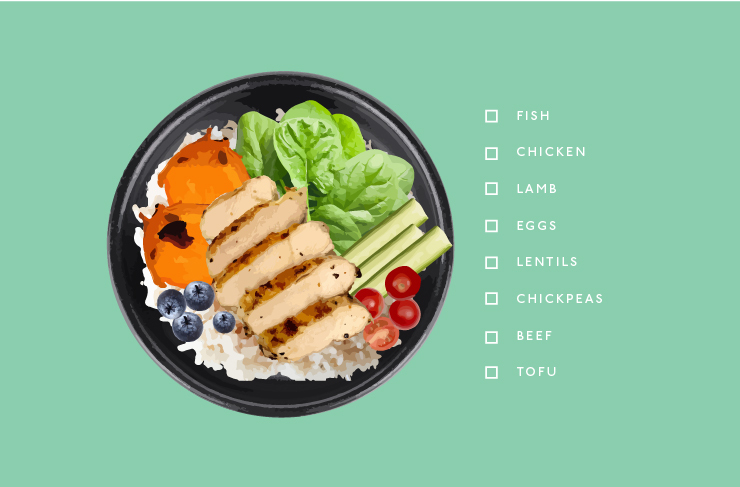 If you’re a vego or it’s meat-free Monday, never fear, this is where chickpeas, lentils, eggs and tofu come in! So long as it’s not KFC, you can’t really go wrong. This is our favourite bit because it’s where the avocado and cheese come into the equation. Load up on those healthy fats and don’t feel guilty because they do great things for your cholesterol and blood sugar levels. 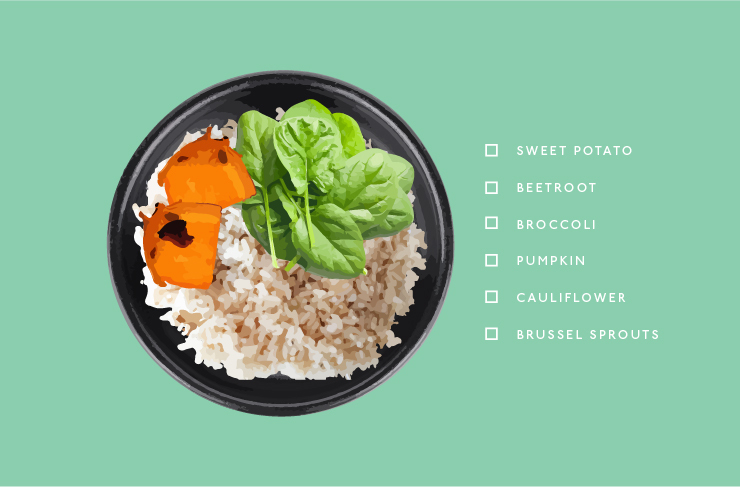 By this stage your nourish bowl is already looking pretty tasty, but don’t stop there. Pile on some kimchi or sauerkraut for their gut-boosting benefits, squeeze on some lemon juice for a zingy-hit or add some hummus, because well, hummus! For more bowl-y good times, try making this tex-mex chicken tortilla soup. Chloe is the Editor at Urban List Perth.